Up's Russell and Dug are now at Disneyland! “It’s all about the relationship between a mother and daughter, and how this young woman has problems with her mother. When she has a problem with her mother over marriage, she gets a magic spell to try to stop her mother bothering her with the suitor business. But it actually changes her mother into a bear.” –Mark Andrews, director. Phew, I was worried after watching the trailer that it would be a film based on the bear’s death. This one actually has the movie’s plot! I can’t wait! 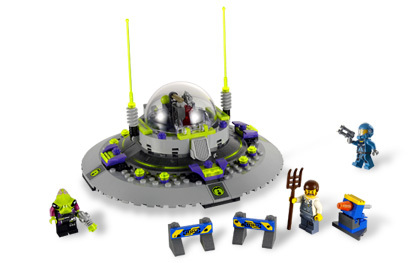 Most of the Lego Summer sets are now on the Lego website, and those that aren’t will be soon. 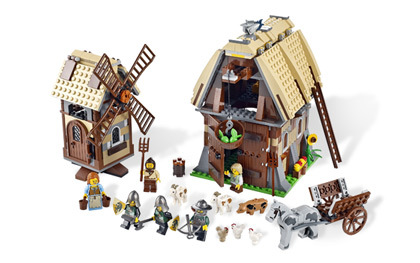 The Lego Pet Shop, the first 12 Lego Cars sets, the new Lego series Alien Conquest, and a handful of great Kingdoms sets are just some of the new sets. The Cars for system series is a very strange Lego series. 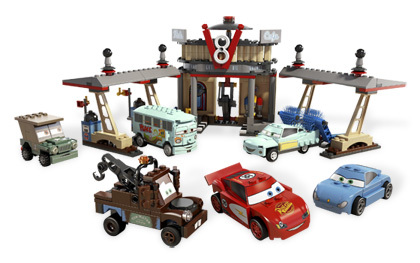 With no Minifigures every set has built Lego Cars. I like Flo’s V8 Cafe and Tokyo Pit Stop the best. I found the new take on Kingdoms a great idea, focusing more on medieval life than castles. The Mill Village Raid is great as well as the Blacksmith Attack. The new space series, Alien Conquest, is also a great reinvention with the focus on alien invaders and UFOs. Lots of great new bricks and minifig parts. There are also two new city series, Space and Harbor, which are both executed nicely. Overall a great collection of Summer sets. You are currently browsing the archives for the Pixar category.